One of the under-appreciated titles in the Final Fantasy series of Japanese RPG's. Most of the same rules apply, a rich story full of dynamic characters and a plot to save the world from a ruthless tyrant. You even get to go into SPACE! Unheard of in a generally "swords and magic" series. A solid story and great battle mechanics make this a good addition to any RPG fan's library. Now you can add videos, screenshots, or other images (cover scans, disc scans, etc.) 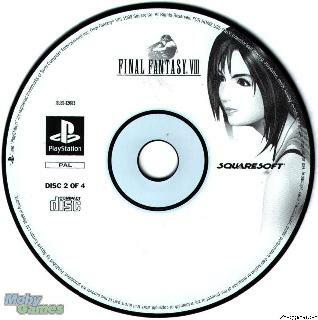 for Final Fantasy VIII (E) (Disc 2) to Emuparadise. Do it now!